The leading industrial manufacturers of household names we all know are taking charge of the UK’s development and training of the youngster’s in Britian today. These proactive, successful and profitable companies realised some time ago that the only way forward was to take on school leavers and train them in-house to manufacture the high specification products with a British made stamp on it. Are you just choosing your GCSE choices and still are not sure what you would like to do for a job? Do you have an interest in engineering, science or business? Then read this article giving you another solution other than stopping on at a college to take your A’ Levels. 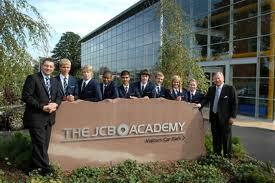 JCB have an Academy for students from the age of 14 who are interested in business and engineering. A first of this type of school in the United Kingdom, it is focused on delivering high-quality engineering and business education. They want to develop Engineers and Business leaders of the future so have invested heavily into making sure that the students have every chance to achieve success, whether they continue into further education or move into the world of work once they have finished at JCB. “It is fantastic to see that so many prospective parents are booked in to have a look around The JCB Academy and have the opportunity to talk to our students, partners and staff about the great opportunities on offer. Our recent five year anniversary provided a chance to meet former students and to find out how the Academy has enabled their careers to get off to a flying start. The open day will provide potential students with a chance to see how they can benefit from the unique curriculum and learning environment which will boost their careers and future prospects”. Jim Wade. The 2015 Open Day will be bigger and better than before with our state of the art equipment and amazing industry partners such as Bosch Rexroth, JCB, Oxbridge & Cambridge Exam Board, PrizeWater House-Coopers , Rolls Royce, XYZ Machine Tools, Parker Hannifin & JCB Finance. Also throughout the day our excellent team of dedicated staff will provide interactive activities, quizzes, competitions, student work, building engines, dissecting hearts, and taking part in virtual welding. Staff, students, parents and school governors will be on hand to answer any questions you may have and make your visit engaging and memorable. At The JCB Academy, with Jim Wade as the Principal, the curriculum and learning techniques are unique, allowing students to combine theory with practical activities: putting learning into practice in their purpose-built, state-of-the-art facilities. The students all benefit from a wide range of extension activities, allowing them exceptional opportunities to pursue many different interests outside the main curriculum. The hours are more like business hours than normal schools and sixth form colleges, but the curriculum encourages a structured and effective use of time, meaning that there should be very little – if any – homework in years 10 and 11! (Sixth formers will have some homework, but probably less than other schools) Now this has got to be a bonus! This progressive, 21st Century approach to education has some very traditional values at heart and at The JCB Academy they place huge emphasis on self-discipline, good behaviour, uniform, teamwork and co-operation. You can learn more about The JCB Academy on the website, or by downloading the prospectus. Recently HRH The Duke of York was given an insight into the achievements of The JCB Academy during a visit to honour the businesses which have contributed to its success. Accompanied by JCB Chairman Sir Anthony Bamford, The Duke was shown around The Academy at Rocester, Staffordshire, by Principal Jim Wade. During the visit he met dozens of students in the high-tech environment which prepares them for the world of work as part of its mission to develop the engineers and business leaders of the future. He was shown around the computer-aided design CAD classroom where students were using 3D design software before transferring to the computer-aided manufacturing CAM centre where students were operating laser cutters to put their designs into production. The Duke also toured around The Academy’s workshops and welding facilities before visiting a lean manufacturing event being run by Bosch Rexroth, industrial partner to The JCB Academy. And it was a very special day for six former students who were introduced to the Royal visitor having completed their studies at The Academy before moving into Higher Apprenticeships in industry. Holly Broadhurst, 18, of Leek, Luke McFall, 18, of Stafford and William Wainwright, 18, of Werrington, Stoke-on-Trent are all working at JCB. Kurt Clarke-Roome, 18, of Derby and Aiden Rogers, 19, of Derby are both working at Rolls-Royce, Derby and Megan Aucott, 19, of Stafford is working at Bentley, Crewe. The Duke of York was visiting The JCB Academy as part of his continued focus on University Technical Colleges and bringing together employers, educators, and young people, to promote, support and recognise the importance of the development of the various pathways to employment. One of the highlights of the visit was the presentation of certificates and commemorative plates to partner organisations which have supported The Academy since it opened in September 2010 through their commitment to setting real-life engineering challenges for the students. JCB Academy Principal Jim Wade said: “It is a real pleasure and honour to show The Duke of York what we are achieving at The JCB Academy. He is a real supporter of technical and vocational training for young people and is keen to see the development of schools like The JCB Academy, which are giving young people the opportunities to develop the skills and intellectual capacity to help UK plc compete in the global economy. The Duke presented certificates and plates to Miles Pixley, JCB HR Manager; Nicola Swaney, of Rolls-Royce; Paul Fitzpatrick, of Toyota; Chloe Tupper, of National Grid; Julia Teale, of Bentley; Alastair Johnstone, of Bosch Rexroth and Louise Reynolds, of Network Rail. Before departing, The Duke was presented with a scale model of an Archimedes Screw, which provides electricity at The JCB Academy, by Head Boy Jack Straw, 17, of Spondon, Derby and Head Girl Leandra Rushton, 15, of Ashbourne. The JCB Academy was set up to develop the engineers and business leaders of the future and last month the first of its students to complete their studies started apprenticeships with companies including JCB, Rolls-Royce, Nestle, Bentley Motors as well as KMF, WD Tankers and B&B Tractors. In August The Academy announced that 99% of students had achieved A* to C grades in their GCSE results. This is a new concept in education offering 14-19 year old students the opportunity to take a highly regarded, full time, technically-oriented course of study. University Technical Colleges are equipped to the highest standard and supported by at least one university. The JCB Academy is supported by Harper Adams University College, Staffordshire University, Loughborough University, University of Derby and University of Cambridge Technical College. Students combine hand and mind to learn in a very practical way, integrating national curriculum requirements with technical and vocational elements. The ethos and curriculum of each college is heavily influenced by local and national employers who also provide support and work experience for students. University Technical Colleges specialise in subjects that require technical and modern equipment – in our case, engineering – and they all teach business skills and the use of ICT. The chosen specialism reflects the needs of local employers. At The JCB Academy, the sponsors’ commitment is to use their knowledge and expertise to support and engage in activities through curriculum development, including helping with teaching. 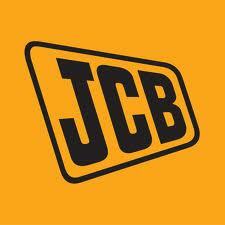 JCB has also provided the building and some of the capital costs. There are no fees or entrance exams for entry at year 10 at The JCB Academy. Students at The JCB Academy start at age 14 with modern, practical, hands-on learning experiences, also studying the basic GCSE subjects of English, mathematics, science and ICT and taking part in sport, financial training and learning how to set up a business. Maybe you are not near to the Academy in Staffordshire but this has sparked an interest in your further education? If so, take a look at some of the other ways to get into Engineering or Construction by government back schemes that lead to training and education around England on our web site. This entry was posted in Customer Resources, Jobs - welders, Westermans News and tagged careers, construction, jcb, training. Bookmark the permalink. This had a lot of good information on the different machining processes. I’ve wondered about when cnc cutting machine would be better to use than laser methods.